← Saturn Pluto is on the march…fasten your seat belts! “Astrology is a load of rubbish” – please, NOT that tedious old trope again!!! I know it’s not like me to rant. Those of you good folk who call by my blog regularly, know that. However, I feel like a bit of a rant today. What about? Dismissers, that’s what. Normally I view this response to astrology with weary resignation. However, a recent airing of that tedious old ‘astrology is a load of old rubbish’ trope really got under my skin. How I wish people would spend some time in studying subjects which have been a vital part of human experience for thousands of years, rather than displaying their profound ignorance of those very subjects in the public realm. I know of what I speak, being a reformed dismisser myself. Readers of this blog may recall the tale of my being stopped in my tracks by a startling prediction – made as a result of an encounter with astrologers in a launderette in Bath, England – that I would in fact become an astrologer too. You can find the full story HERE. Moving from ignorant dismissal of a tradition going back at least six thousand years, to gradual acceptance of its validity based on study and experience, was one of the most profound and humbling processes of my entire life. I used to like the word ‘sceptical’: for me, it meant not accepting anything on trust, but being prepared to consider the evidence, not just of accepted facts, but also of experiential evidence which to me and much of the world’s population – including open-minded scientists like Professor Bernard Carr, Professor of Mathematics and Astronomy at London University and a Past President of the Society for Psychical Research – can have its own validity. In a lecture some years ago, Professor Carr stated that there is a barrier which needs to be overcome: those who consider only experimental evidence conducted under strict laboratory conditions to be valid, clash with others who find well-researched experiential evidence to be of at least equal worth. I think he is absolutely right. Unfortunately, the term ‘sceptical’ has now largely narrowed down to mean dismissing any body of knowledge, experience or practice which does not fall within the narrow terms of reference of reductionist ‘scientific’ procedures. Astrology has never ‘delivered’ terribly convincingly when subjected to the above approaches. Personally, I have not been the least surprised or upset by this. One cannot expect applying the procedures of one model of reality, ie reductionist science, to the practices of another ie astrology, to produce much by way of validation. My lifelong interest in science has not been diminished by the depressingly dominant reductionism of our era. A long-time preoccupation has been to bring together in my own mind contemporary insights flowing from the weird world of quantum physics with the ancient wisdom traditions and symbol systems centred round the Perennial Philosophy, including of course astrology. It belongs, Brady believes, to ‘another world view’. She offers us astrologer and author Garry Phillipson’s opinion that astrology may work best when approached and practised as ‘…a sacred art.’ (p69). From my own experience, I would agree with this. In the end, we astrologers have each to find our own way of living with the dismissers. Maintaining both breadth and depth of study whilst striving for a high standard of professionalism in our teaching and practice, is the most effective rebuttal of this kind of ignorance. This post is an edited version of a piece which first appeared in my bi-monthly column for Dell Horoscope Magazine ‘The astro-view from Scotland’ in the March 2017 Issue. This entry was posted in Educating the dismissers... and tagged Astrology, birth chart, Dr Bernadette Brady, Gary Phillipson, horoscopes, Perennial Philosophy. Bookmark the permalink. You’ve just reminded me of this tidbit. We think of the Muses as being related to music, dance, and so on. But one of the Muses was Urania, who was the Muse of astronomy. The implication clearly is that astronomy is as much art as science. It’s interesting to ponder that in conjunction with your opinion (and Phillipson’s) that astrology also is an art. Thanks for this comment, Linda. Yes – Urania is the Muse of Astrology as well as Astronomy: she is prominently placed in my horoscope at 19 degrees of Virgo, and when my Sun ( creative core, essence, life purpose ) conjuncted her by progression when I was 27 years old, that was the year in which I ran into that often-spoken of astrologer in the Bath laundrette who told me I’d end up as an astrologer myself. (In ancient times, astrology and astrology were not considered to be separate disciplines, as they are now, but complementary facets of the same body of knowledge, ie the study of the stars and planets.) Besides, astrology symbolically reflects life in all its complexity – and who would argue that Life was purely a scientific exercise?! Actually, I’ve known (and know) a few who would argue just that. Ah, well. I’ve no desire to try and convince them otherwise! 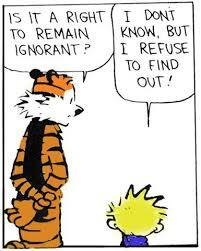 This is a really pertinent discussion for me as I started my professional life as a scientist. But the corporate scientific “workplace” held no love for me. It didn’t feed my spirit nor touch my soul. Astrology on the other hand lets me work (and play) with angles, maths, apogees, astromomy, mythology,symbolism, spirituality and alchemy all in one arena. I’m home! Hopefully one day scienitists will come full circle and reaffirm themselves with Astrology. This reminds me of both my perennial cry and an advert from a foodstuffs company specializing in Tex-Mex pantry items in the States. It is spoken Spanish with English subtitles, aimed at a predominately English-speaking American market where a South Western family is arguing the eternal debate: hard taco shell verses soft taco shell. A young girl, blinking up at her elder companions, offers this pearl of the wisdom of children “Why not both?” (so reads the English subtitles but this not actually what she says in Spanish, apparently, as bilinguals and Google Translate tell me) The scene ends with her being hoisted aloft in a crowd of rejoicement like a sports figure or hero of old. Dinner is saved! Anyway…. as always, my thanks for the space to ramble on in your comment section. Lesley, how I love good quotes. This one is just brilliant – sums up the essence of life superbly. Thanks for taking the trouble to drop by and share it with us! The way I see it is the church outlawed astrology but still uses it. The Vatican is littered with its symbolism. It is about control. They made it a sin to the regular people because they could chart their own path while the church still uses it because it works. Thank you for raising this familiar issue which I admit has stalked me in the past to the point of struggling to control a rising urge to lash out in defence (my natal 12th house Mars in Scorpio). The worst experience I endured a long time ago was at the hands of an industrial scientist heading a small group of colleagues at a dinner function. I was accompanying a friend who had been invited to the seminar. Social introductions began with the usual small-talk (‘what do you do’, etc.). When my turn came to identify myself, a tangible sense of foreboding infiltrated my field of awareness – I knew that the outsider, the maverick – me – was about to be singled out yet again by the iconoclast movement. The arrow was fired directly at my self-worth and the words stung beyond comprehension – ‘do they still burn people like you at the stake?’ – immediately followed by raucous alround laughter. My Irish familial legacy of the gift of humorous banter granted me the ability to force a smile for the sake of ‘social appropriateness’ that evening, yet my Nordic forefathers, those of the Northmen, steadied me for a fearless response shrouded in elements of captive-taking. It was in the perceived mocking that I found the strength to hold fast onto my beliefs but it was in the public humiliation that pushed me to understand that knowledge can be a powerful weapon – I had to learn more about the history of my art to enable me to more openly converse with those who set up a ‘barrier’, according to your Professor Carr, Anne. These days I believe I have become more of a strategic debater of the ‘dismissers’, as you describe. At best I ask if they would, at least, keep an open mind rather than follow the cultural trends of their ‘tribe’. I also agree with Bernadette that astrology is ‘another world view’ which I believe has withstood anarchic reassessment, particularly at the coalface of modernism with society seeking to dismiss all previous truths for a better world. Yet the integrity of the edifice remains intact. Author Ann Geneva in her 1995 publication, Astrology and the Seventeenth Century Mind: William Lilly and the Language of the Stars, argues that ‘it is first necessary to locate astrology within its own universe of discourse‘, which for me opened a new door of enquiry as I continue to develop my understanding and practice of astrology. There is a lot can be said about Madame Blavatsky’s view that one has to step beyond the visible world of matter in astrology; perhaps there is logic in suggesting that this may be one of the reasons astrology does not appeal to those who consider only experimental evidence (according to Professor Carr). Plotinus was an Egyptian philosopher born in the 3rd century AD. As the founder of Neoplatonism he was a significant player in the development of the Platonic tradition. Although a deeply introverted man with highly intellectualised views, Plotinus had an uncomplicated approach to managing the variances of life. His advice to his contemporaries was simple – ‘never cease chiselling your statue’. Therein lies the key to my strategy. Hi Page many thanks for this eloquent contribution to the discussion. Yes, Plotinus scored a number of bulls-eyes …. ‘never cease chiselling your statue’ is great advice especially for NOW, with Saturn and Pluto in Capricorn!. What a shame those in the public arena who are well respected for their expertise have to dismiss, out of pure ignorance (and probably fear), a subject that has been used for centuries by so many cultures. Thanks for your blogs Anne, so worth reading in my opinion. Many thanks for your affirmation of my efforts, Pat! And yes, I too have read Rebekah’s book and loved that quote which I think sums things up for many of us. A few years ago, Liz Greene gave a lecture at the Astrological Association conference, called ‘The Astrologer and the Sceptic’. It may still be available, and if so I’d advise you to try and get hold of it. It’s a very interesting psychological analysis of the position of the sceptic in relation to the astrologer, pointing out that those apparently polarised stances come from the same root, ie ( if I recall this correctly, it is from about 20 years ago!) that of fear of the unknown – and the human need to exercise some apparent contro over the forces which govern our lives. “Josh Glancy in New York” is the byline in the ST’s mag; how 1980s. You can almost hear Warhol Oh-Geeing and Madonna Like-A-Virgining in the background, as flakes from hot, breakfast metro-croissants are swept off the Sunday morning read. Poor Josh is quite behind the millennial times if social trends in resurgent astrological interest are anything to go by. Even the Gypsy fortune-teller graphic adds to a tomby sense of hark-back, pre-dating the 80s by a century or two. The only thing that chimes with our times (ie now) is that jet beard of Josh’s, triggered not just by fashion but the cosmic nudge of Neptune in Pisces – a well-explored transit for blooms in facial hairstyles through the ages. At least in this respect, Josh is keeping up. I have not read Dr. Brady’s book, but of course, I will. What I find strangely incoherent in the scientific community of dismissers is how embedded astrology really is in our human history. Can scientists dismiss the incredible authenticity of one of their own fellows, Sir Isaac Newton, who famously told a colleague, “I have studied the matter, sir! You have not!”? Or the famous French mathematician Michel Gaugelin, who started out to debunk astrology and wound up doing a 180 and embracing its principles? Or Benjamin Franklin? And what about Edgar Cayce, who read the Bible for every year of his life and found astrology just as beautiful within its pages? After 4,000 years, something of truth and value is still there or astrology wouldn’t still be around for anyone to care or study about. Here’s to other brilliant people like Richard Tarnas and his book Cosmos and Psyche! Read it and I dare ya! Thanks for the rant platform, Anne. You started and all I wanted was to add to it. Margo Cline Oops! I forgot Carl Jung! Brilliant rant, Margo. Dropped all the right names, too! Really excellent article Anne. 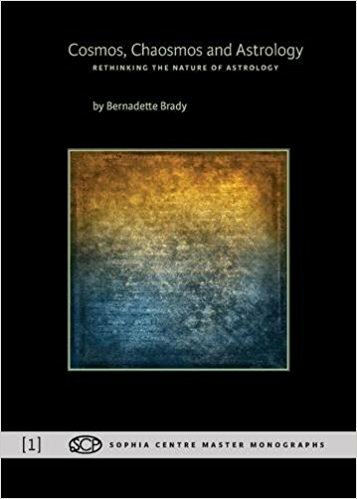 I must read that book by Bernadette Brady! I will not waste time arguing with those who are too ignorant to consider the possibility that astrology works on its own merits. My Mercury in Aries does not have the patience, haha! To me ‘scientists’ who shut down their minds are not scientists at all. Oh and for me too, astrology as a sacred art makes more sense. To me it’s just a language to interpret a greater pattern. Well said. I am a chemist and an astrologer. I think chemistry can be applied to human relationships bonding and reactions… if a bond is strong it is closer and more energy is released when it is formed it is more stable, sometimes affinity is bad because it is so strong too much energy is released and there is an explosion. There is a repulsive effect as well as an affinity, the moiety requires some freedom and some closeness. I am talking about human relationships! A brilliant rant – loved it! Excellent, Jennifer, that’s what I like to hear 🤯! Great Anne, nicely said, as always. I haven’t read the Bernadette Brady book you mention, although have just finished re-reading (properly for the first time actually, shame on me!) Cosmos And Psyche which has further expanded and clarified everything with all that great historical stuff. Best to silence the close-minded by doing their charts, if they’ll let us! I have a few friends with science degrees who are into or open to astrology (one an ex-student of mine), they get frustrated with the closed minds too. So it goes haha. Thanks Tim, looks as though many of us feel the same about just getting on with it and doing a good job for our clients. Re-Cosmos and Psyche – yes, I wasn’t able to persevere with one long read either, initially. Brady’s book has a great merit of being succinct and short – I’ve read it now about four times, It takes awhile for the chaos theory stuff to seep in…! I would further stipulate that in astronomy, like all quantitative disciplines, any and indeed perhaps *all* data points are entirely useless when viewed in a vacuum. Astronomy tells us the bare bones: hunks of rocks and gas all on fire in the great void of space, all going x many turns and tilts around each other, at whatever angle degree and however many minutes on a 360 degree biophysical social construct/semi-imaginary circle (or not *Looks At elliptical orbits pointedly*) that the human animal has ended up agreeing to abide by as compass rose. Astrology tells us the meaning humans ascribe to such phenomena: the seasons as experienced by people-kind represent a cycle of growth and dormancy that allow us to reflect and mature along with them as we age. 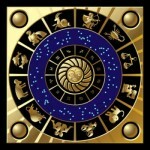 Astrology is the human urge to finding a nourishing meaning for an activity that one can do in a utilitarian fashion. The thing to remember is that science itself is just another PHILOSOPHY that tries its best to interpret life (just like astrology does). And that is fine, until the scientists using their particular discipline proclaim it to be the one and only discipline that is RIGHT (just like a fanatical religion does) and says that all the others are wrong. And that creates WAR (We Are Right). Science is just a flea on an elephant, trying its best to understand the elephant that it is part of. Science trying to understand Astrology is like a fish trying to write a shopping list. Yes, Wizron, with you on both the above !! Could not agree with you more, A M ! “Astronomy is science and Astrology rubbish”. I like to remind the naysayers that economics, political science, and psychology are all pseudo-sciences, yet one can acquire university degrees in these fields. “How do the Cayce readings define personality versus individuality? The readings suggest that if the personality and the individuality are not balanced and integrated, then the horoscope might not fit the person. I don’t get bothered by those who dismiss it as a study as I know it comes from a place of ignorance. I also don’t mind for another reason: that which can withstand judgment likely has more credibility than that which cannot. People love to bully the topic of Astrology, largely because those who follow a study are open and accepting and do not react in a hostile fashion. Last time I checked, nobody is committing mass shootings or hurting other people in the name of the stars, but they are however doing the above in the name of religious figures: figures that many wouldn’t dare to criticize. So if someone truly wants to discredit your integrity as an intellectual because you believe the cosmos affects human behavior, albeit already scientifically proven that the Sun and the Moon affect all life forms on Earth in some way, I think it is always more effective to simply smile, nod, and allow them to think however they like about whatever they like, or more commonly, to not think at all. Astrology is a vast and complex study that opens up the mind of those willing in a way that only drugs can – minus any negative side effects. Thank you for this contribution, Nicholas. I’m assuming you have read the whole article and followed up with some of the links in order to broaden your knowledge of the whole issue.